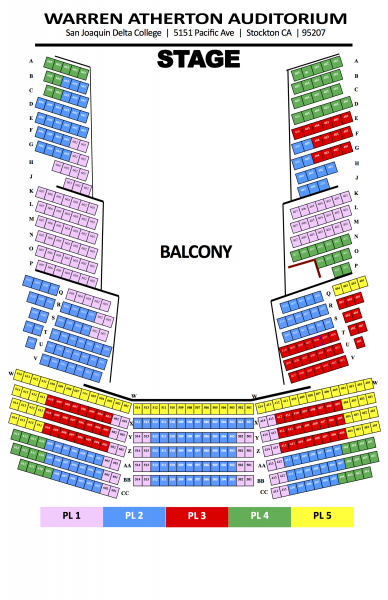 The Stockton Symphony partners with the San Joaquin Delta College Box Office to provide convenient onsite ticketing. 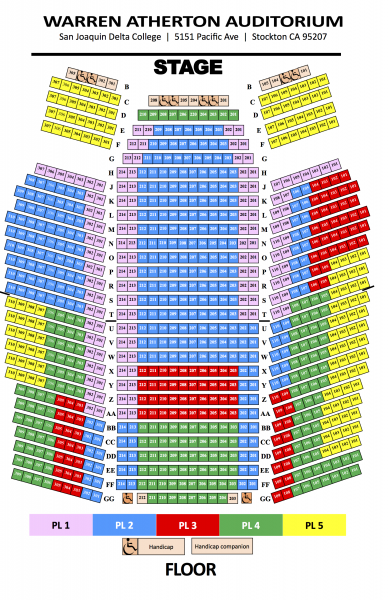 To avoid additional service fees and get the best pricing & seating options, please purchase your tickets directly from the Symphony Box Office or online. Please note: The Friday preceding all Classics and POPS concerts, the Stockton Symphony Box Office closes at 2 pm for ticket purchases and pick-ups. The Symphony accepts checks, cash, or Visa, Mastercard, Discover, and American Express credit cards for payment for all tickets and season subscriptions. The Stockton Symphony office is located off Quail Lakes Drive in the Quail Lakes Office Plaza. The symphony office is at the rear of the complex. 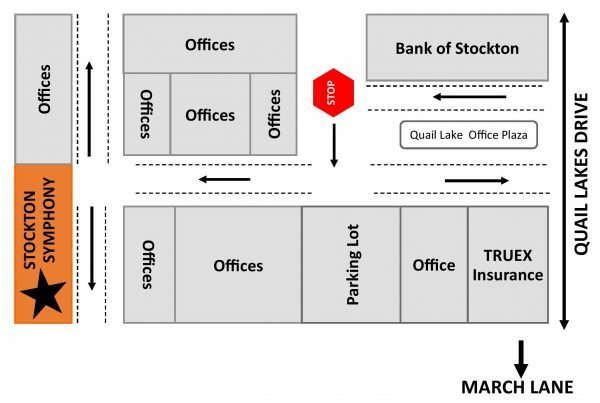 The entrance of the complex is located between the Bank of Stockton and Truex Insurance. Closed Saturdays, except on performance days. The Delta College Box office is opened 2 hours prior to a performance and will remain open 30 minutes after the performance begins. The Delta College Box Office is located in Locke Center directly across from Warren Atherton Auditorium.